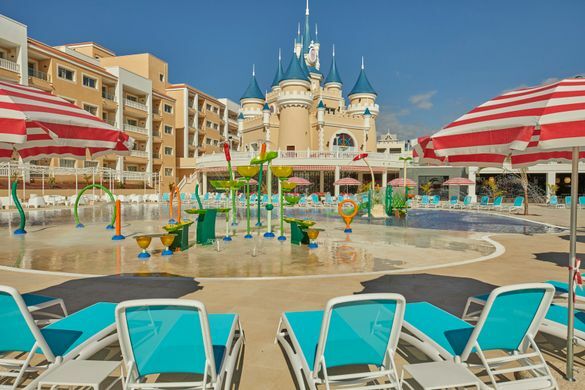 A one night stay at the Fantasia Bahia Principe Tenerife in a standard double room is priced from £175 based on two adults sharing. For more information on Bahia Principe and Fantasia Bahia Principe Tenerife, please visit: www.bahia-principe.com. the vacation industry. Alongside its high-end hotel facilities, the Piñero family’s company also manages two large luxury home resorts: Playa Nueva Romana Residences & Golf (Dominican Republic) and Bahia Principe Rivera Maya Residences & Golf (Mexico). The company has also developed other lines of business in the tourism industry, the most notable of which include the tour operator business (Soltour and BP-USA Travel) and guest reception services (Coming2). Editorial Notes: Bahia Principe Hotels & Resorts is represented by LOTUS. For more information a/o images, please contact Minty Woolgar or Lucy Keenan (Minty@wearelotus.co.uk / Lucy@wearelotus.co.uk / 0207 953 7470).